PRESS RELEASE: HELSINKI (MARCH 13th, 2018) – HUONE International continues to grow by opening a new unit in the region of Kamppi in Helsinki. Launching in the early autumn, this will be HUONE’s third unit, with spaces already in the Jätkäsaari district of Helsinki and in Singapore. 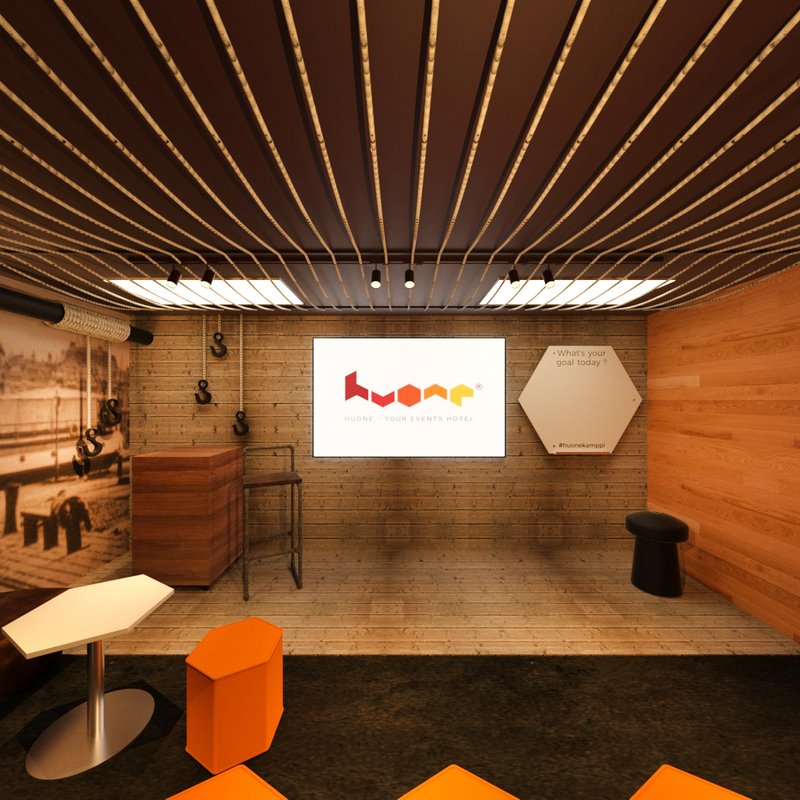 Established in 2012, HUONE is expected to expand radically over the next few years, with the goal being to open ten new destinations worldwide by 2020. Given that HUONE’s current facilities in Helsinki are usually booked well in advance, there is ample demand for the new Kamppi meeting spaces. “Each unit seeks to further take into account the needs of its customers and make their experiences better. The themes of the new rooms have been considered carefully. Playfulness and inspiration are key, as well as the modularity of the spaces that enable solutions for different situations,” describes Jaakko Eskola, HUONE’s Market Entry Manager. Behind the unique theme of each room is a carefully thought out story. The themes are designed to cater to the customer’s needs, depending on the type of inspiration that group requires for the meeting. Among other rooms, HUONE Kamppi will have a nomad-life inspired Caravan Room with a private garden, and an intimate harbor inspired Pier Room. 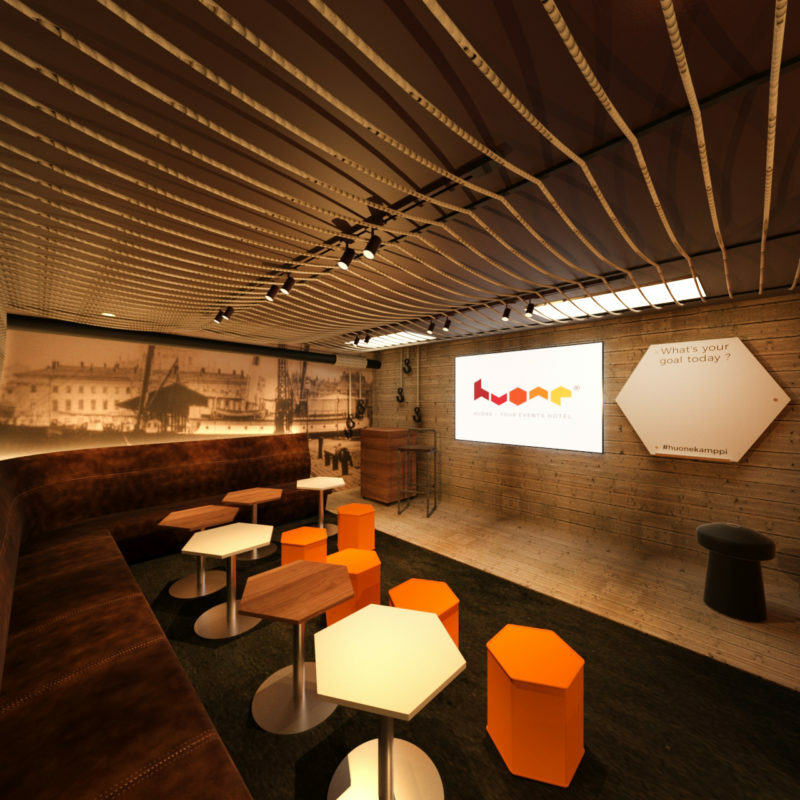 HUONE’s aim with these spaces is to put customers in a journey state of mind. In the center of Helsinki, companies can arrange meetings and small-scale events in the creative working rooms, while guests from all around the capital area can easily access the premise via excellent transport networks. HUONE is also responsible for the restaurant, lobby, and security services, which takes customer service to a whole new level. HUONE Kamppi’s opening ceremony is to be held in the early autumn. 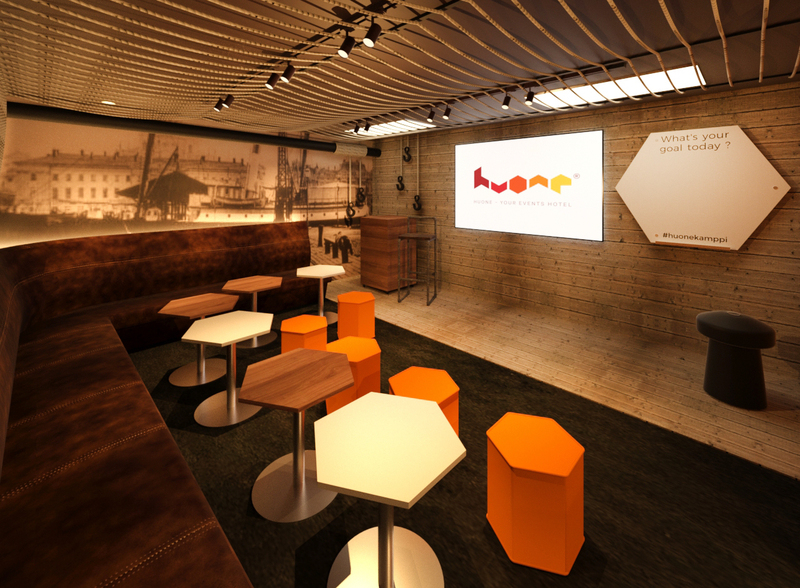 For the customers, there will be a sneak peek of the plans for the new spaces held in May at HUONE Jätkäsaari. Events in Laituri room of HUONE Kamppi will enjoy a hint of port atmosphere.